Born Hermann Nielebock on April 17th 1888 in the small German village of Brandenburg, Herms Niel left school in 1902 and served his early musical apprenticeship in the small town band of Gethin. In 1906 he joined the Kaiser’s Army as a trombonist in the band of the First Infantry Guard Regiment (1. Garderegiment zu Fuss) and was to see service throughout the whole of World War One as a sergeant band-leader before finally being demobilised a year after war's end in 1919. 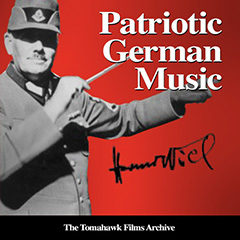 In those very tough years immediately following the Great War, Herms Niel managed to earn a living as a civilian band-master and composer, until the dawning of the Nazi era with the coming of the Third Reich in 1933 when he then joined the Sturm Abteilung in 1934 as a troop-leader before gaining promotion to Musikmeister of the famous Reichsarbeitsdienst training establishment at Potsdam.